Saransh’s first taste of celluloid success was when he won the top spot on the Food Food Maha Challenge in 2011, which was hosted by the chef Sanjeev Kapoor and Madhuri Dixit. If not chef, what would have been your alternate career option? I do cook at home twice a week. If there could be any dish that I would like to cook all the time, it would be Sindhi Curry and Matar wale chawal. Do you give cooking tips to your mother? I do not give cooking tips to my mother. I have tried a couple of times and she listens to me but at the end of the day, she ends up doing what she believes is right. She is receptive and she does not make a face when I give. I am a big movie buff and love to watch films from all across the globe. What’s your family’s most favourite dish that you prepare? It’s the Goila Butter Chicken, but they are vegetarians. So I make Goila Butter Paneer for them and they absolutely love it. What’s been your worst kitchen incident? When I was training to become a chef, I had four month on the job training in a hotel in Delhi. On a big wedding night, the banquets were busy and operations were running super late. I was exhausted, had not slept and was tried of deep-frying various starters. It was almost the last batch of fish fingers to be rolled out, and it is then that I felt fairly relaxed. The next thing I knew was that I had sunk in my four battered right-hand fingers in the hot oil, with the fish. I had boils on all of them and was out of the kitchen for two weeks. Jamie Oliver, Tom Cruise and Sachin Tendulkar. 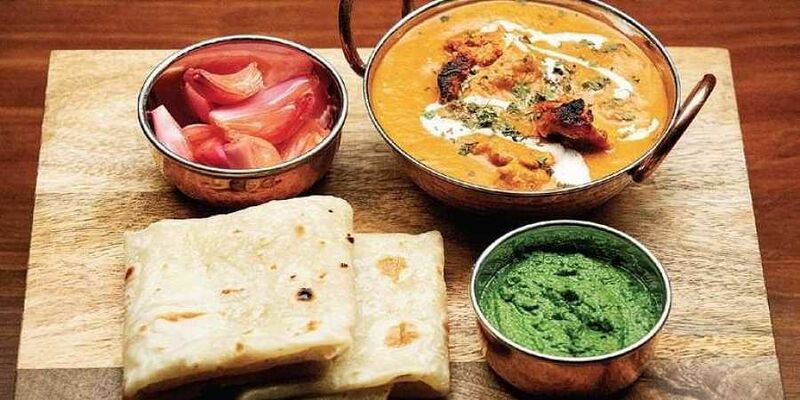 I would like to cook dishes from five different belts of India and of course, feed them Goila Butter Chicken.